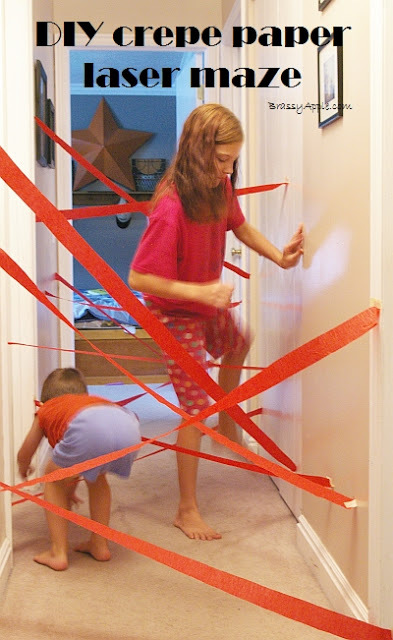 Here’s a great winter activity for bored little ones: DIY Laser Maze. All it takes is a hallway, red crepe paper. and some tape. Pretty great.